Deciding whether to get dental implants or a root canal when a patient has a diseased or otherwise compromised tooth is a hot topic issue. While most dental professionals, including our doctors, agree that priority should be placed on saving the natural tooth, not everyone agrees on when dental implants should be placed instead of performing a root canal. In our Glendale area offices, our doctors believe that a variety of factors should be considered to determine when to skip a root canal and go straight to dental implants. Every year, hundreds of Glendale area residents get root canals. This procedure is performed to prevent the need to extract and replace a diseased tooth. During a root canal, several things occur. First, your endodontist will thoroughly numb you, so that you don’t feel any pain. He or she will then drill down to the source of your tooth pain – the tooth pulp – and remove it. Your endodontist will then clean, fill and seal your tooth with a crown. The result is that you no longer have tooth pain, but you still have your natural tooth and root, which stimulates your jawbone growth. Dental implants are commonly used to replace teeth that are so diseased that they need to be extracted. In this scenario, our doctors will perform a few procedures to remove and replace Glendale patients’ teeth. First, our doctors will perform a tooth extraction, a procedure in which you will be totally numbed, and then the tooth will be surgically removed. After your gums have healed from the tooth extraction – which may take several months – you will be evaluated for dental implants. To be eligible for dental implants a few criteria must be met. First, you must have enough jawbone tissue to support the implant and allow for proper fusion between the dental implant’s titanium rod and your jawbone. If not, you’ll need an additional surgery called a bone graft to “rebuild” your jawbone tissue. Second, if the extracted tooth was in the upper jaw, our doctors will need to ensure that your jawbone tissue is tall enough to accept the full titanium rod and that it won’t interfere with your sinuses. If you have low sinuses or short jawbone tissue, you may need a sinus lift surgery. As you can see, the initial instinct of dental professionals to save your tooth, plus the complicated criteria that must be met to be eligible for dental implants, often lead dental professionals to suggest a root canal over dental implants. But, our doctors consider additional information. For example, knowing that root canals may only last 15 to 20 years, our doctors consider Glendale patients’ ages before determining an individualized treatment plan. 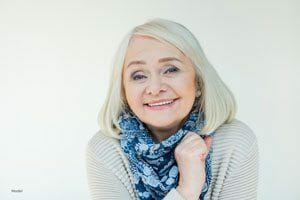 For younger patients, going straight to dental implants may be a more permanent, cost effective treatment than having a root canal, then needing dental implants later in life. Our doctors also consider whether or not you will need additional surgeries like a bone graft or a sinus lift to be eligible for dental implants before deciding your personalized treatment plan. There’s no way you can know which solution is right for you. If you have a severe toothache that you think may be a sign of an infected tooth, visit our doctors right away so that we can help you determine the best course of treatment. You can schedule an appointment at our office in Pasadena today. Call (818) 240-1805.